India has 3rd largest higher education system in the World. The other two countries who secure 1st & 2nd position in the World for higher education system are United States & China. University Grant Commission (UGC) is the highest governing body of Higher Education in India. University Grant Commission has appointed 12 autonomous institutions to oversee accreditation for higher learning. In past decade we've seen a huge growth in the number of foreign students coming to India for higher studies. Foreign students always find it difficult to figure out the top universities in India for them. University Grant Commission published a list of best universities in India for foreign students. Below we're publishing the names of those best universities in India for foreign students. Savitribai Phule Pune University formerly known as university of Pune was established in 10 February 1948. The University of Pune is one of the premier university in India with NAAC "A" rating for its overall performance. In 1949 the university had only 18 affiliated colleges with 8000 students. by 2010 these numbers was increased to 433 affiliated colleges, 232 recognized research institutions, with an enrollment of 496,531 students. The university is one of the most preferred university of foreign students in India. Manipal Academy of Higher Education or Manipal University is another popular university in India with 28000 foreign students from 52 countries. 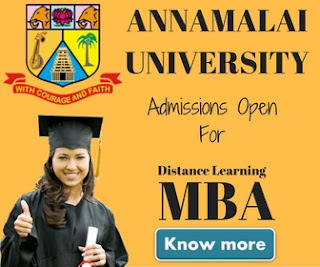 The university has its other campuses located in Bangalore, Mangalore, Sikkim, Jaipur, Dubai, Malaysia and Antigua. The university was established in 1993 as deemed university. The university is spread in 313 acres campus and has 19 colleges and 7 departments. The university is affiliated with UGC, ACU, AIU. University of Delhi also known as Delhi University or DU is one of the oldest public central university in India. The university was established in 1922. The university is funded by government of India. The President of India is the Visitor, the Vice President is the Chancellor and the Chief Justice of the Supreme Court of India is the Pro-Chancellor of the University. The university has been ranked as #1 university in India by many newspapers, magazine and research companies. As of now The University of Delhi has 16 faculties, 86 academic departments, 77 colleges and 5 other recognised institutes. The Osmania University is a public state university located in Hyderabad. The university was founded in 1918. The university has been named after the Nizam of Hyderabad, Mir Osman Ali Khan. The university is affiliated with UGC, NAAC, AIU and has been accredited as 'A' Grade university by NAAC. The university is spread over in a 1600 acres campus with 300,000 students. The university is one of the highly preferred university in India for foreign students. The University is Mysore is another public state university located in Mysore, Karnataka, India. The university was established in 1916. The university has 122 affiliated colleges and 5 constituent colleges with more than 53000 students. The University of Mysore was accredited "Grade A" by NAAC. The university is affiliated with UGC, NAAC, AIU. Bharti Vidyapeeth is a group of higher educational institute located in Pune, Maharashtra. The group was established in 1964. Currently Bharti Vidyapeeth has its campus located in New Delhi, Navi Mumbai, Pune, Solapur, Kolhapur, Sangli, Karad, Satara, and Panchgani and elsewhere. The university has a student base of more than 70000 students. In the year 1996, The government of India granted the status of "Deemed to be University" to a cluster of 12 institutions of Bharati Vidyapeeth. Indra Gandhi National Open University (IGNOU) is world's largest open university, established in 1985. The university is run by central government of India and has been named after ormer Prime Minister of India, Indira Gandhi. The university has a student base of more than 3 million students from India and 40 other countries abroad. The university has 21 schools and a network of 67 regional centres, 2667 study centres, and 29 overseas centres(15 countries). 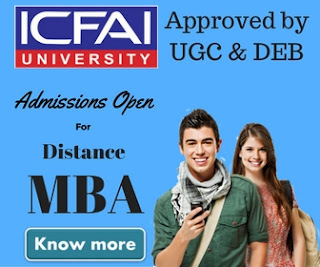 Distance education MBA, MCom, B.Ed, M.Ed, B.Sc Nursing, Law Courses etc are some of the most popular courses offered by IGNOU. University of Mumbai was established in the year 1875. It is one of the oldest university in India. The university is one of the first three state universities in India. The university offers Post graduate, Graduate, Doctorate, Diploma & certification courses. It is one of the highly preferred university in India among foreign students. The University of Mumbai is the largest University in the world in terms of number of graduates. The university has more than 140 affiliated colleges. The university ranked among top 50 engineering schools in the World. It also ranked 3rd best university in Asia in terms of graduate students as percentage of total students. In 2013 the university was ranked as 5th best university in India by India today. The university also accredited as Grade "A" university by NAAC. Banaras Hindu University also known as Kashi Hindu Vishvavidhalya in hindi was established in the year 1916 by Pandit Madan Mohan Malviya. BHU is a public central university. It is one of the largest residential university in Asia with over 20000 students. BHU has 4 institutes and 14 faculties with more than 140 departments. Students from 34 countries study various courses in the university. The university has 60 hostels for resident students. Visva Bharati University is one of the most popular central government funded university in India. The university is located in Santiniketan, West Bengal. The university was founded by Rabindranath Tagore in the year 1939. The university is affiliated with UGC with more than 6500 students and 515 academic staff.